Pinterest is a new interesting addition to the already existing massive social media sites like Facebook, LinkedIn, Twitter and Google+. It is the hottest and the most talked about Social Media platform at present. It is an online pinboard that organizes things preferred by you. But marketer are bit confused about making the best use out of it. There are many experts who have started it as marketing purposes. According to them there are many ways to start this SM tool for business purposes. One can start it by making personal account and having a user experience and potential marketing potential can begin its use for achieving their much cherished and aspired goal of selling a product or commodity. On Pinterest marketing opportunity comes in form of brand awareness and driving sales with the help of referrals. According to January 2012 statistics it is well ahead of YouTube, Reddit, Google+, LinkedIn and MySpace in referrals, and only behind the giants like Facebook, StumbleUpon, Google and Twitter. It consumes a bit more time. As it is a new type of social media platform, it needs time to pinning and repinning things. Its interface is quite easy that one gets completely involved into it and there are many ways to get the most relevant content fitting into one’s required category. It has both USP of Facebook and Twitter what to like and easy and fast to share. In Pinterest people can be followed based on content instead of merely knowing people. It is very easy to share and curate content on it what makes it more relevant and important for a marketer. 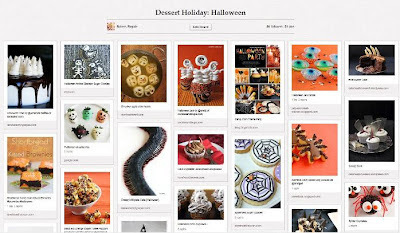 According to ComScore, the Pinterest at present has about more than four million users. It seems to be a B2C social medium at present. For a common user titled online “pinboards” are made with demographic details. They can be titled assumingly as recipes, dream outfit, home furnishings, etc. But content size and type must be very accurate from the marketing perspective and value. Content should be for the Pinterest audience, popular on the site and post them further to personal website or blog. Make a business account relating to username that matches the brand being promoted. And finally use the Pinterest social media icon to blog, website and email signature to promote and register social presence and create a fan presence. However, load time is very lengthy so be vary of file sizes and types on Pinterest.